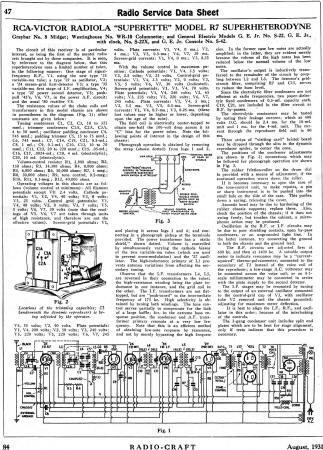 This Radio Service Data Sheet for the RCA-Victor Radiola "Superette" Model R7 Superheterodyne was published in the August 1931 issue of Radio-Craft magazine. 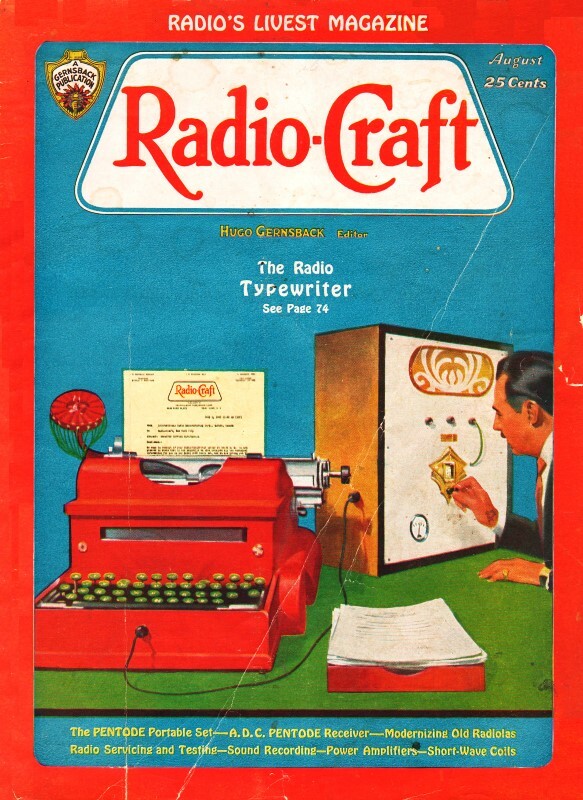 The Model R7 is a tabletop, or "mantel," radio set that is the first of its kind for RCA-Victor. It is fairly large at 14 x 19 x 10 inches, and weighs 37 pounds, per data on the RadioMuseum.org website. The circuit of this receiver is of particular interest, as being the first of the mantel radio sets brought out by these companies. It is seen, by reference to the diagram below, that this superheterodyne uses a limited number of tubes, in the following manner: One stage of signal-frequency R.F., V1, using the new type '35 variable-mu tube; a type '27 as oscillator, V2; a '24 screen-grid first-detector V3; a type '35 variable-mu first stage of I.F. 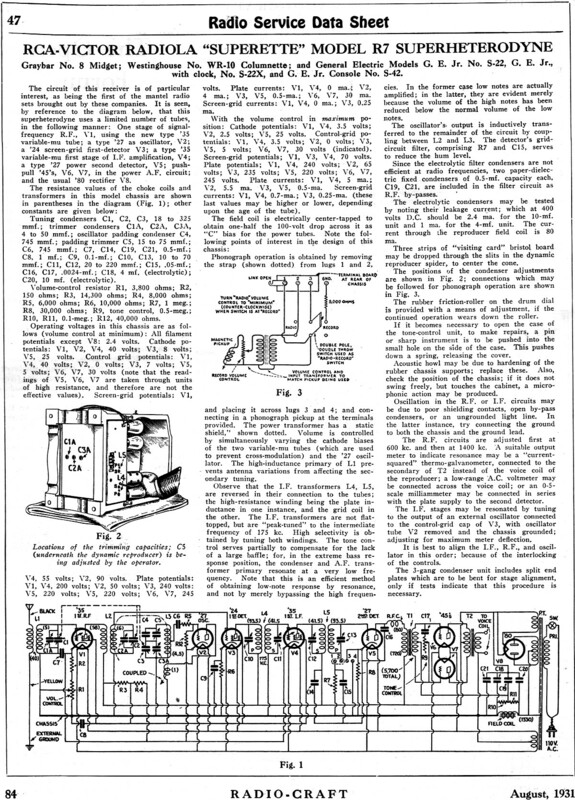 amplification, V4; a type '27 power second detector, V5; push-pull '45's, V6, V7, in the power A.F. circuit; and the usual '80 rectifier V8. The resistance values of the choke coils and transformers in this model chassis are shown in parentheses in the diagram (Fig. I); other constants are given below.